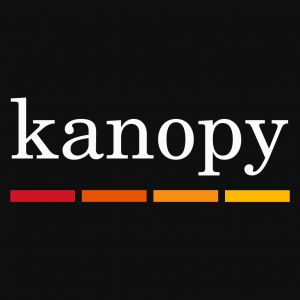 Streaming Service Kanopy Offers Thousands of FREE Movies with Your Library Card! Streaming services vary considerably in price and can be quite costly. Why not try the free digital media services offered by your Library District? Our new Kanopy service brings more than 30,000 of the world’s best movies, including award-winning documentaries, rare and hard-to-find titles, film festival favorites, and classics. Kanopy is available as an app on Roku, Android, and iOS devices, and of course, through your desktop computer. Through Kanopy, library cardholders have access to films of unique social and cultural value, and titles that are often difficult or impossible to find elsewhere, with a wide array of foreign language and current affair films. For youth, Kanopy Kids offers films and TV series that help children develop empathy, mindfulness, and self-esteem through entertaining and educational videos. Kanopy Kids also enables parents to create a four-digit PIN to ensure that kids only have access to age-appropriate videos. To access Kanopy, and all of our free digital services, you will need to start by registering your library card and PIN on the Library District’s new website. Once you are registered on our new website, click on the eResources menu and select A to Z Resources, which will take you to Kanopy, where you will sign up for this service. Once your account is created, keep an eye out for a follow-up email from Kanopy to complete the process. You can then check out up to 10 titles per month, with a three-day use period for each. Titles can be streamed immediately to your preferred device. Hoopla, which allows you to download movies, television shows, music, audiobooks, eBooks, and comics; and you can check out up to 10 titles per month. Freegal, which allows you to enjoy three hours of streaming per day, provides six song downloads each week, and offers thousands of artists and albums that you can keep. Downloading from our site makes it possible to access library resources without ever leaving your home. And, there are no late fees. Your items will automatically return when your lending period is over. Enjoy!